Reduced! 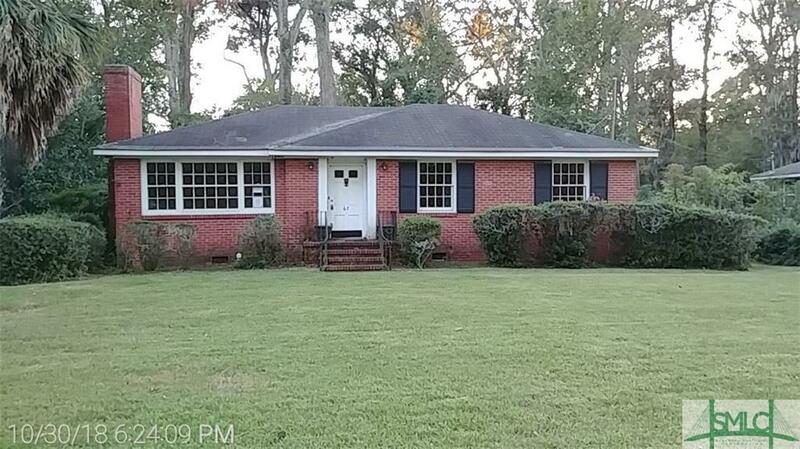 Classic 1950's all brick bungalow with original red oak floors, fireplace, and separate living room and dining room. The lot is enormous, over a half acre. Easy access to Gulfstream, GA Ports, or downtown Savannah. Sold as-is, no seller's disclosure available. The following flood zone information has been obtained for the property-flood zone designation X. The property was built prior to 1978 and lead-based paint potentially exists. Property MAY qualify for seller financing (Vendee).